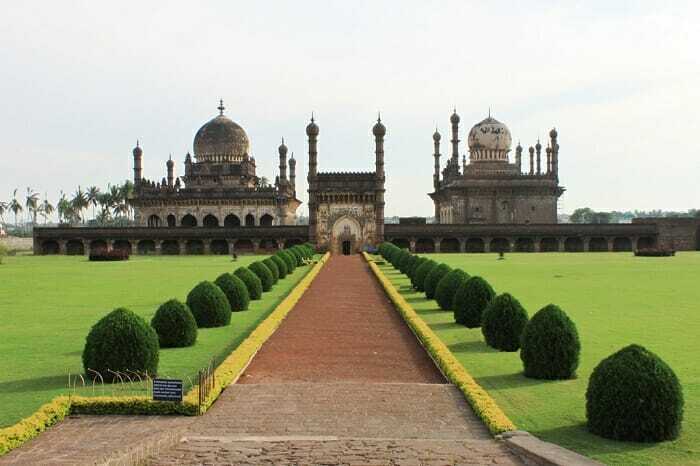 Bijapur lies in the heart of the Indian Territory which is the plateau of Deccan – a vast area that constitutes the greater part of the center and the south of the country delimited by mountainous chains, forming a plateau of low altitude in the form of triangle. It is in this plateau that the history of the dominion of the Indian Territory took place during centuries happening diverse dynasties that were fought by the political, military and religious hegemony. From the 11th century the Indian subcontinent captured the attention of Muslim conquerors who invaded the territory bringing with them war, of course, but also a new culture, religion, architecture and art. 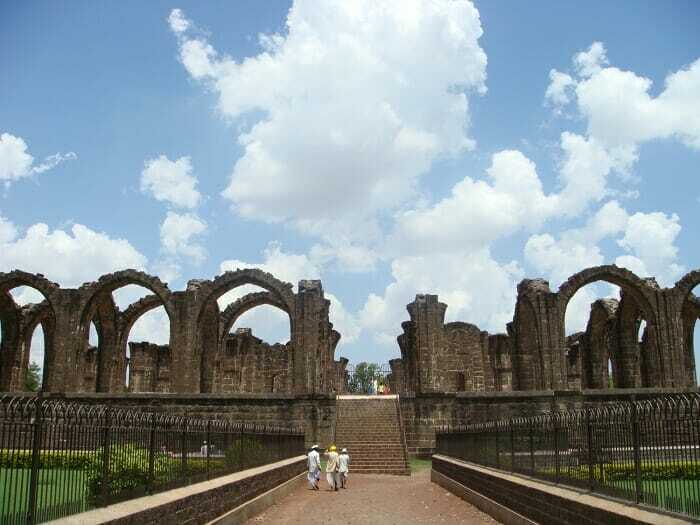 Read here about the top places to visit in Bijapur in the state of Karnataka. 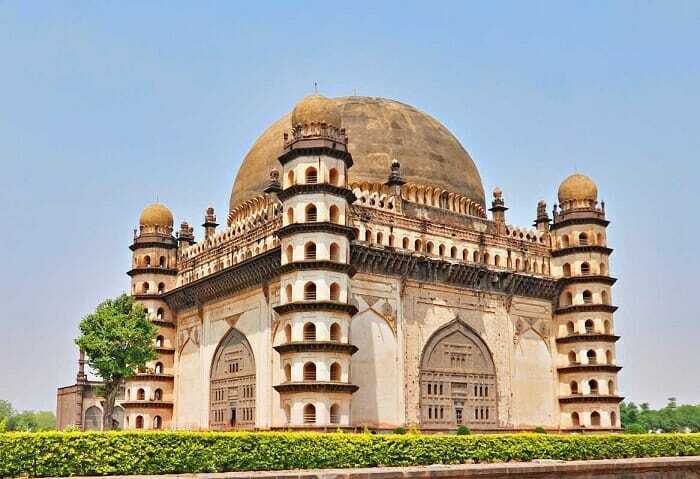 The mausoleum of Gol Gumbaz means Round Dome is the ex-libris of Bijapur – a monumental building with the second largest dome in the world. There rests the body of Muhammad Adil Shah (1626-1656), as well as those of his wives and daughters. The second icon of the city is the Ibrahim Rauza mausoleum, where there are tombs and mosques. It is described as one of the most beautiful buildings of the plateau of Deccan. The complex is dominated by two “twin” buildings, one the tomb of Ibrahim Adil Shah II (1580-1626) and the other a mosque. Both were built on a raised platform which is accessed through a garden and through a tower with four minarets. The two buildings are distinguished by the delicacy of the decorative work and are adorned by beautiful minarets, existing a tank between the two buildings. It is said that this mausoleum served as inspiration for the Taj Mahal. Surrounded by walls and a moat, the citadel included some palaces and gardens of the Sultans Adil Shahi. The area is now engulfed by the urban fabric of the modern city and some of the buildings are in very poor condition. However, the Gagan Mahal, the courtroom of the Shah Ali Adil I, is unmarked with no roof but with a large arch and still surrounded by beautiful gardens. Apart from this, Sat Manzil – the ruins of Muhammad Adil Shah’s seven-storey palace, and Jal Manzil – a small tower that once was a water pavilion and which was part of the gardens of the palaces attract visitors. 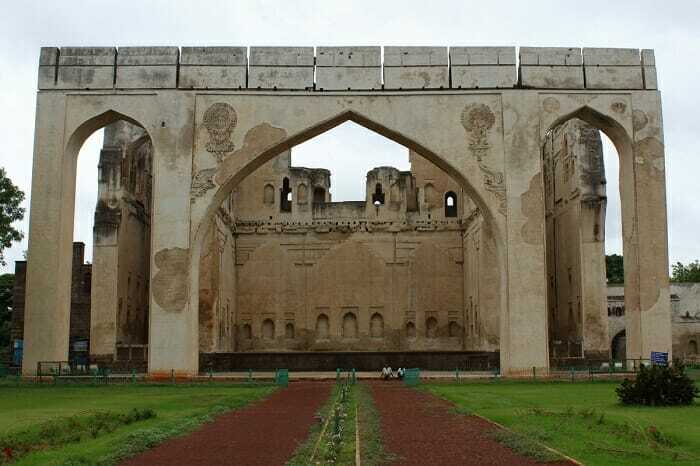 The tomb of Ali Adil Shah II (1656-1672) is one of the most beautiful ruins of Bijapur. The building impresses with its greatness not diminished by the fact that it has never been completed but also by the quality of the basalt used in its construction. The base of the structure is larger than that of Gol Gumbaz itself, and in it are supported huge arches which did not support any roof. In the center are the tombstones of Ali Adil Shah II and relatives. Around the building there is a beautiful garden. 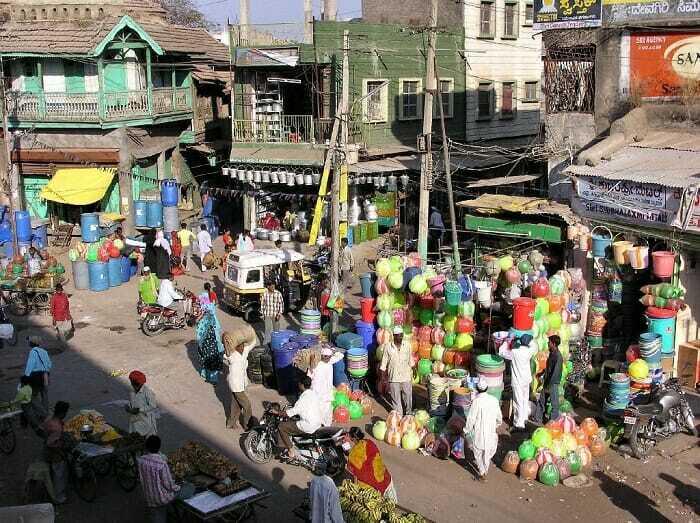 Next to Bara Kaman is one of the bazaars of the city. There you can witness the daily hustle and bustle of the Indian population and traditional customs and clothing. Even without the privilege of a common language, it is possible to start a conversation with some people and exchange smiles. Bijapur is well connected to airports, buses and trains from other major cities of the country. One can prefer Deccan Odyssey Luxury Train as this has onboard luxury services. But you must check Deccan Odyssey Fare before any booking.